A nice picture of Ossett Magistrates Court in 1900. The chairman of the magistrates in the high-backed chair is Mr. J.T. Marsden, who was the Mayor of Ossett when the Town Hall was opened in 1908. The man immediately to his left is Henry Westwood, a local colliery owner and Methodist preacher. The other gentlemen in the picture are, as yet, unidentified. 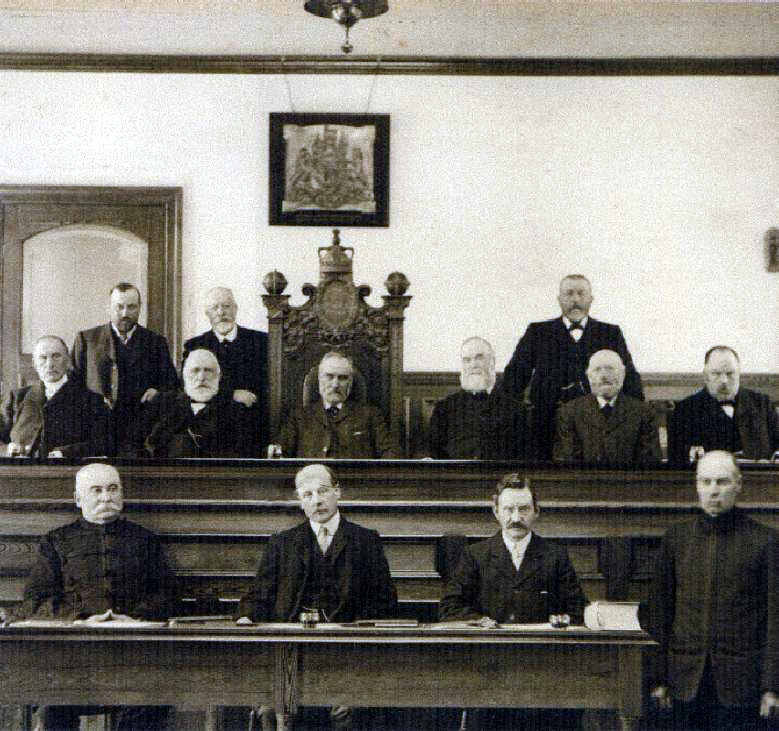 They look a stern bunch, but when Ossett's Magistrates' Court sat for the first time in 1894, the Court was held in the Mechanic's Institute (the present Public Library). The first case to be tried was that of a soldier who was charged with being drunk and disorderly. He was said to have had two pints of beer on a journey to Normanton. It was his lucky day! The Magistrates gave him a suit, a pair of boots and a good dinner, then sent him on his way to Halifax. 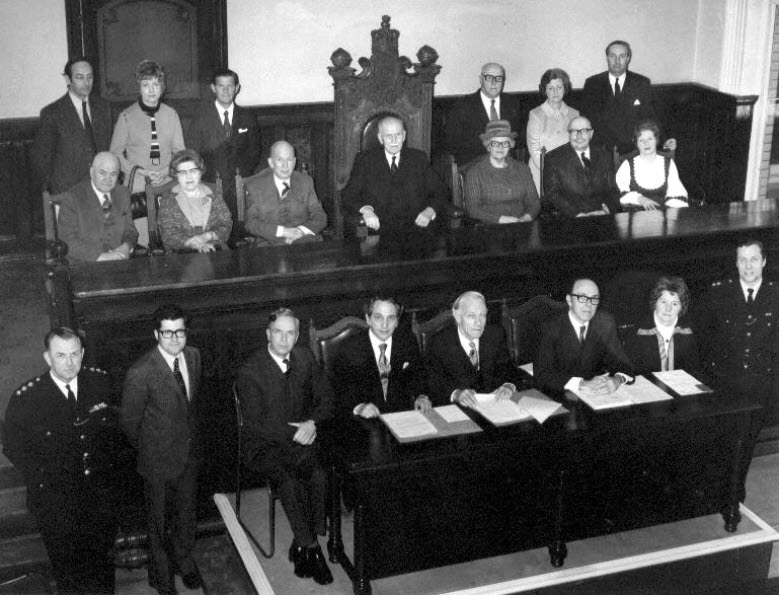 The picture above shows the very last sitting of Ossett Magistrates Court in 1974 with Mr. E.B. Nettleton presiding. When Ossett merged with Wakefield Metropolitan District Council in 1974, Ossett Borough Council was disbanded and with it the Magistrates Court. Ossett's proud tradition as an independent borough was lost for ever.